GRAFENWOEHR, Germany — The 7th Army Training Command’s legal office will again provide free tax services to all eligible Soldiers, dependents, retirees and Army civilians. 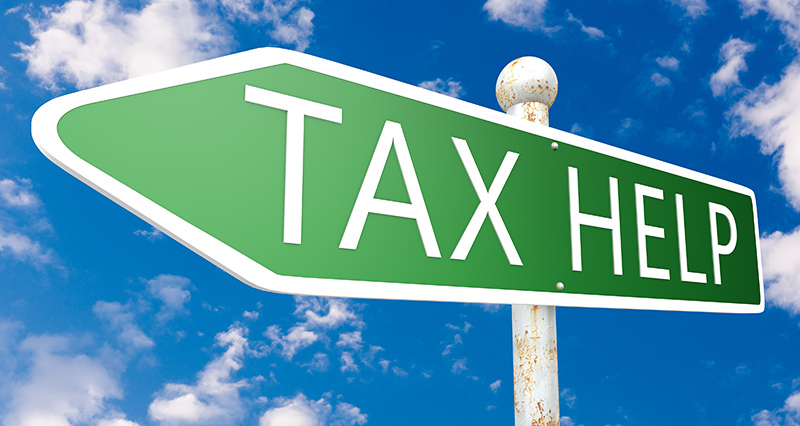 Standing tax centers will be available at Grafenwhoer, Ansbach and Hohenfels. Offices open Jan. 28. Vilseck will provide do-it-yourself tax preparation and training for all Soldiers who fall outside of the scope of the tax centers. Clients can walk in or schedule an appointment. Vilseck’s Rose Barracks offers classes and opportunities to file your own taxes through Military One Source. This is open to all service members with basic tax returns. The classes are hosted Mondays at 9:30 a.m. and Thursdays at 1 p.m. at the Rose Barracks Digital Training Facility, Bldg. 355. Call the Rose Barracks Law Center to RSVP at DSN 476-2289/3188, CIV 09662-83-2289/3188 or email usarmy.bavaria.7atc.mbx.vilseck-legal-assistance@mail.mil. The tax filing season begins Jan. 28 and the deadline is April 15, 2019. U.S. citizens living abroad are granted an automatic two-month extension. The extended deadline is June 17, 2019. As a reminder, do not forget that you must attach a statement to your return when you submit it, explaining why you qualify for the extension. U.S. Army Europe tax centers will re-prioritize services in 2019 and focus assistance on those that generally make less than $54,000 per year to comply with IRS Volunteer Income Tax Assistance (VITA) guidelines. Army tax preparers fall under VITA guidelines and their intent is to promote the processing of more accurate and complete tax returns. The scope of services this year will be amended to comply with the IRS VITA requirements to process accurate and complete tax returns. “The program is designed to help Soldiers and families that need these services most,” said Maj. Shawn Atkins, U.S. Army Europe deputy of military and civil law. Tax services will be limited to service members, retirees and DOD civilians who make $54,000, or less, before adjustments/exclusions. This generally equates to E-6 and below. The figure applies to individuals who file as “married filing jointly.” Tax centers are excluded from providing services to contractors, except FCC providers. Returns that have more than five transactions of sales of Capital Assets, such as stocks. Ineligible to use the tax center? You have options. Military One Source offers a free tax filing version of the H&R Block at Home online tax preparation service for service members and their families. TaxSlayer has a military offer that allows active duty military to e-file a federal return for free. TurboTax offers discounts on its software for active duty military. Service members with pay grades of E1-E5 can get free federal and state filing with Free Edition or Deluxe or a $5 off discount or more for Premier, Self-Employed, and TurboTax Live federal products. E-6 and above get a $5 off discount or more on all TurboTax federal products. Location: Tower Barracks, Bldg. 216, First Floor. Mon – Wed: By Appointment: 9 – 10:30 a.m. & 12:30-3:30 p.m.
Thu: Walk-Ins: 12:30 – 3:30 p.m.
Fri: By Appointment: 9 – 10:30 a.m. & 12:30 – 2:30 p.m.
Mon – Wed: By Appointment: 9 – 10:30 a.m. $ 12:30 – 3:30 p.m.
Thu: Walk-Ins: 9 – 10:30 a.m. & 12:30 – 3:30 p.m.